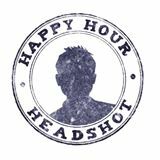 Happy Hour Headshot - Get Involved. Make Friends. Enjoy Motherhood. A MOD Moms business. Is your online photography doing everything it can to create your best first impression. Please whatever you do don’t let something so important rely on a selfie! Sign up online to meet us at a local cafe or brewery for your photoshoot… then prepare to meet your Best Self. We do LinkedIn, Tinder, acting and more. MOD Moms can use discount code “halfoff” to save on the session price. Images starting at $195 for 2. MOD Moms Discount: 1/2 off the session fee of $85. Use discount code “halfoff” when signing up.